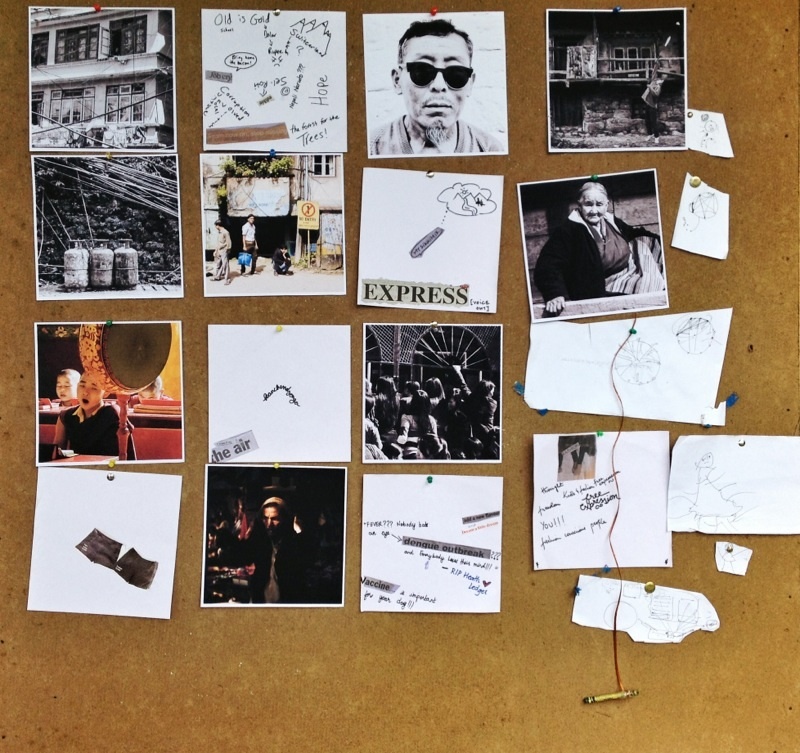 So, what is Modern Sikkim? 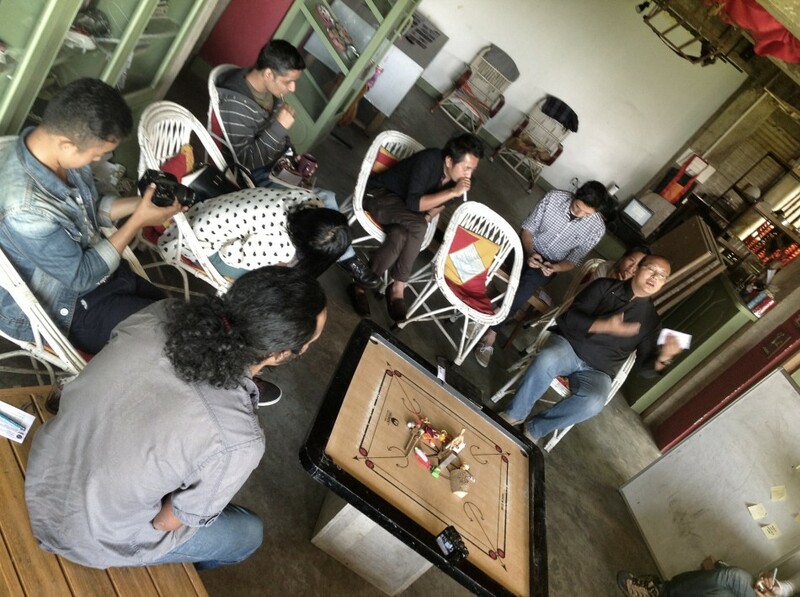 It’s been more than a week since we finished Modern Sikkim, a series of conversations about what it means to be in a growing place, with an identity vague and yet-to-be-determined as “Sikkimese” today. We’ve been mulling over the impact and meaning of what we’ve done in the last five weeks here, and are struggling to find the right word to describe the urgency we are feeling. Not to change the course of things here, of course. After all, we are a couple of outsiders, tourists even, who know nothing of the reality that people live in here. But the urgency comes from the sense of mission that we are on: to change ourselves through listening, and to incite change as we go, one person at a time, through our conversations. We are getting to a clearer picture of what we are working toward, and that’s exciting, but at the same time, terrifying. What if we are wrong? How do we tell it just right? And, who cares? The naysayers in our heads are loud and insistent. But, all that is for another post (or two.) First, let me back up and describe what happened with Modern Sikkim project, and how it went down. More than a dozen people showed up bright and early on a Saturday morning at Brew Gangtok. We shared anecdotes, chais, and grievances. Broad smiles were exchanged, after an awkward pause, when someone unabashedly shared his dream. “We aren’t modern. Look at the roads! We don’t even have a children’s park! But what about our minds? 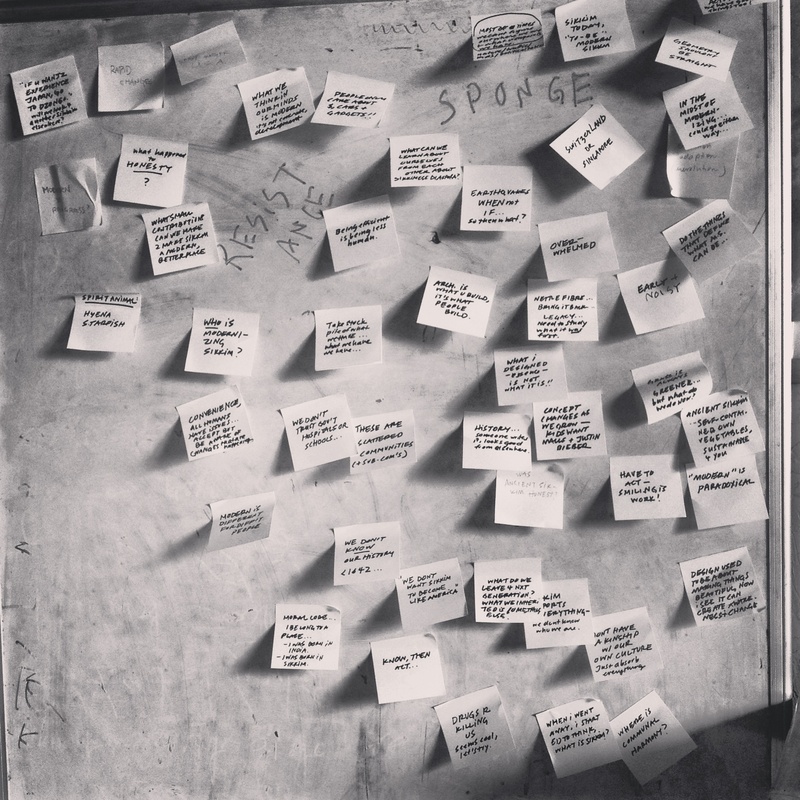 How can we be more open, progressive?” Upendra Gurung, a young architect on his way to study sustainable architecture in Wales, shared his frustration, and we were off. We talked about politics, infrastructure, culture and nature. 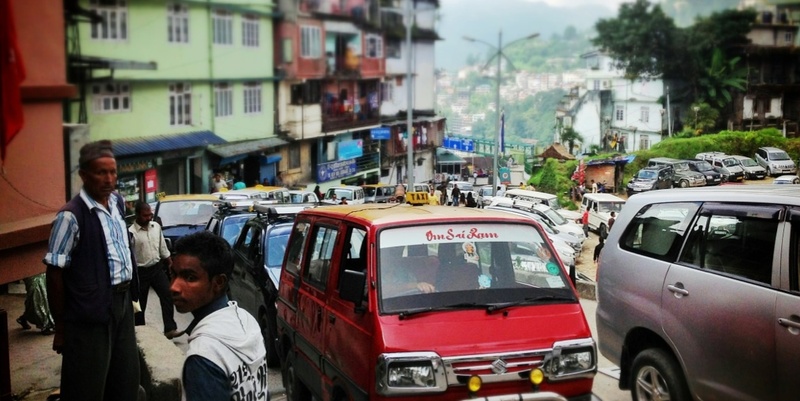 We imagined together what’s to come to Sikkim, and argued about whether we had any control over the changes afoot. 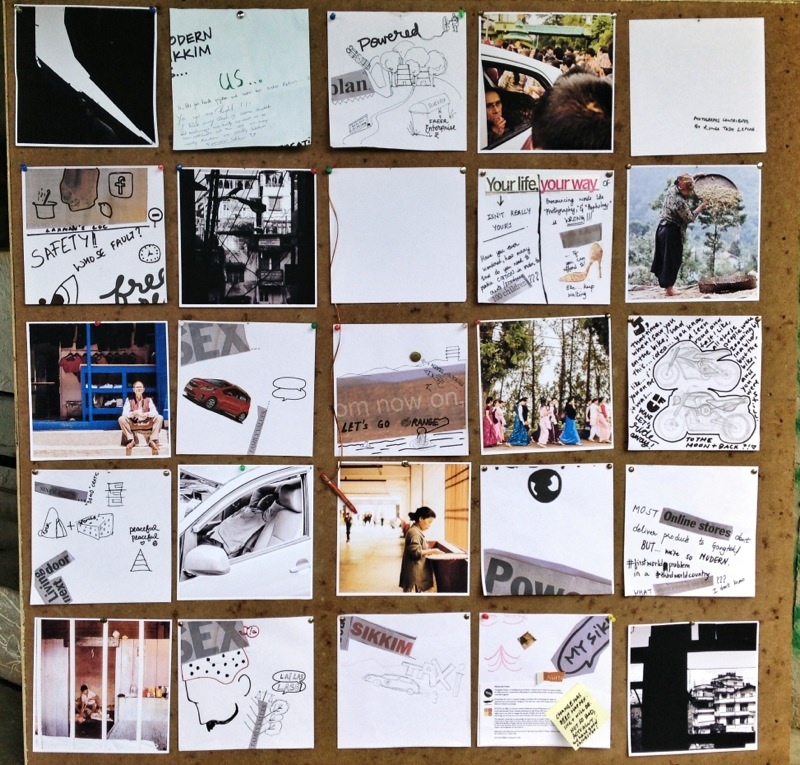 After a two-hour discussion, we made up stories, drew together, and created a wall of visual story that we felt represented what we heard and saw around us. It’s a zeitgeist of the growing place, taken as a snapshot at a time of rapid change. 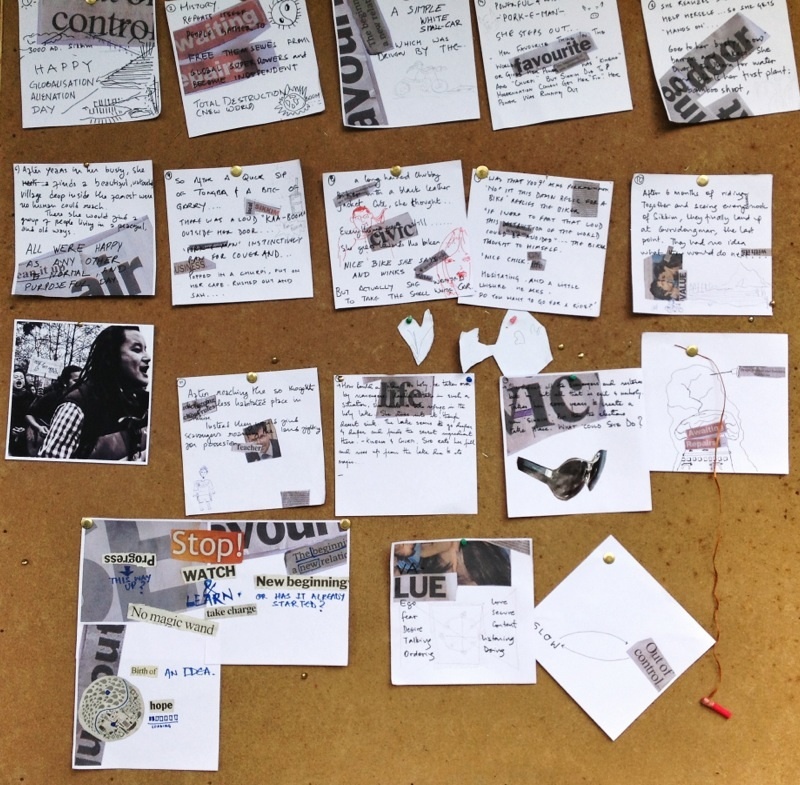 Attendees put together these boards, using their own stories and words combined with found clippings and photos, in the after-conversation visualization session. Square Photos used are by Kunga Tashi. Feels very much like the story could continue—there’s already a talk of starting a magazine. Creating a coffee table book. A photo show. A village in a different part of Sikkim just invited us over for a chat, and we head tomorrow to the Lepcha community that’s been so carefully preserved in Dzongu that you need a permit to get there. Two days ago we shared out passport photos and in-line Sikkim permit to make the paperwork start, and soon we will be on our way to roundtabling in the north. Our hope is that the thread that started here could continue through these new initiatives and projects, but also through the participants’ daily interaction with their coworkers, family and friends. And that hope and belief is rooted in a new insight that we’ve come upon in the process of mounting this talk. That the actual talk in and of itself isn’t the point. 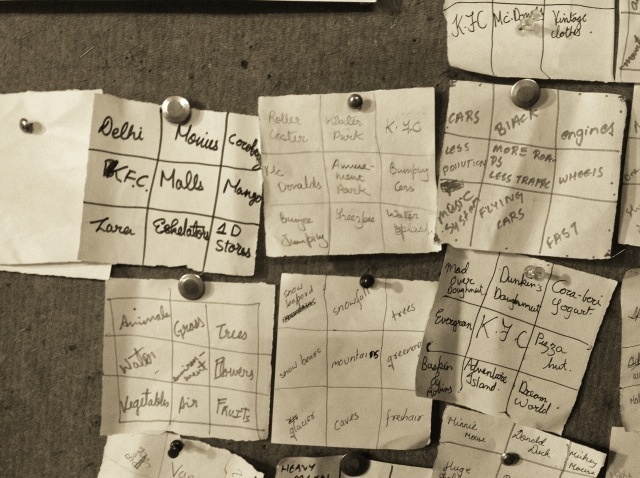 The point, rather, is to get anyone talking, at any point, in any way, whether just with us, in his office, in street corners in a small group, or in formal “workshop” settings. It’s not the content of the conversation that matters. It’s the connections made in the act of talking. we invited the passers-by to comment on our posters announcing the event. And a group of students gave us what they thought, as a part of a weekend-long creativity workshop we participated in. The biggest rewards, for us, has been the friendship we’ve made with people here in the process of talking together, and the introductions we’ve been able to make between those engaged with us, directly or indirectly. Now, can we keep all of us talking? That’s the next challenge. But for now, let’s celebrate: here’s to a simple act of talking together! Really fascinating! I love the visual representations. It helps me to see what “modern” seems to mean to others in a place closer where I wish we were in some ways. Medical help and openness to others: yes! Strip malls and disconnectedness? Not really. I feel like we have so much to learn from Sikkim and places like it. It scares me a bit when modern is defined as what we are like in the US and Europe. I loved the idea of modern as a frame of mind. Maybe that’s the hope for a sustainable future? Thanks for this! Great comment, Sean! I agree that we have much to learn from what these communities are going through. Our hope is to spark many conversations such as this in places modern and not-so-modern, around the world. Thanks for joining in. 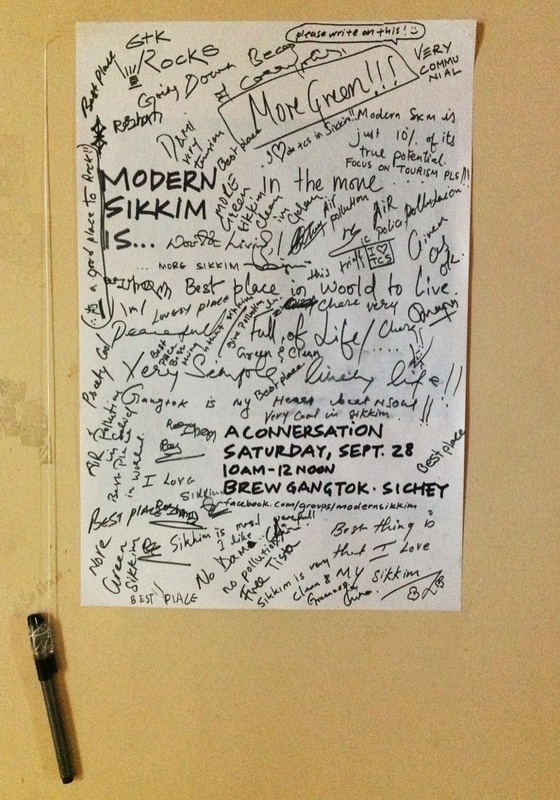 You are here: Home / Events we've hosted / So, what is Modern Sikkim?